On this infamous anniversary of the legalization of abortion in The United States, we reflect on the millions of faces which we will never see and the blindness of those who deny the humanity of unborn babies. Science and technology has made it possible to see this reality in an undeniable way, as shown in the ultrasound picture of the smiling baby in the photo above. They have a face and unique identity; he or she is created in the image and likeness of God! God has a plan and a mission for each unborn child. They are the hope of this broken world – if only the innocent unborn are able to live and grow to fulfill their part in His divine plan. May they gaze on the Face of God and intercede for us before the throne of God that the horrors of abortion may finally be at an end. May Jesus, in His infinite mercy, remove the blindness from the eyes of those who support abortion so that, they, together with the millions of babies who have been killed in abortions, may one day together see God face to Face. O Jesus, whose adorable human Face was formed and hidden in the womb of the Blessed Virgin Mary for nine months — have mercy on us! 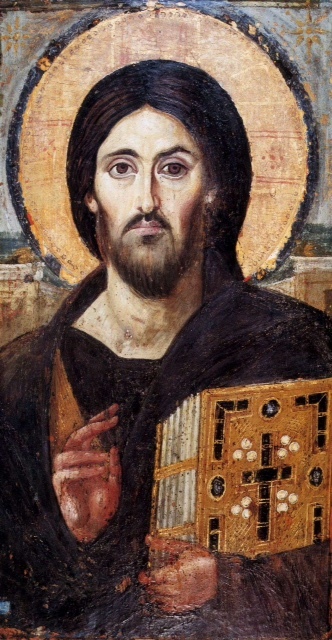 Their Face is the Face of Christ! 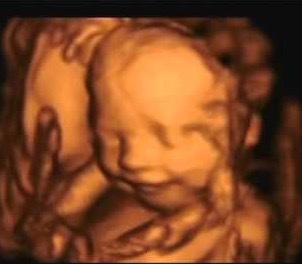 Science and technology has made it possible to see this reality in an undeniable way, as shown in the ultrasound picture of the smiling baby in the photo above. They have a face and unique identity; he or she is created in the image and likeness of God! The Planned Parenthood videos are awakening some people to the truth, but until society as a whole acknowledges this reality and opens their eyes to recognize the face Jesus in the unborn, the horror of abortion will continue. May the aborted unborn souls gaze on the Face of God and intercede for our country before the throne of God. 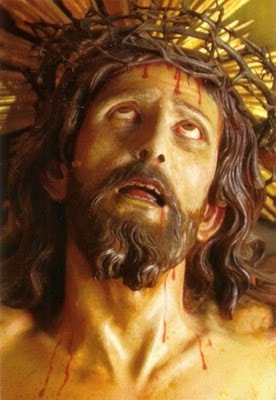 May He may remove the blindness from the eyes of those who perform and support abortion. O Jesus, whose adorable Face was formed and hidden in the womb of the Blessed Virgin Mary for nine months — have mercy on us! 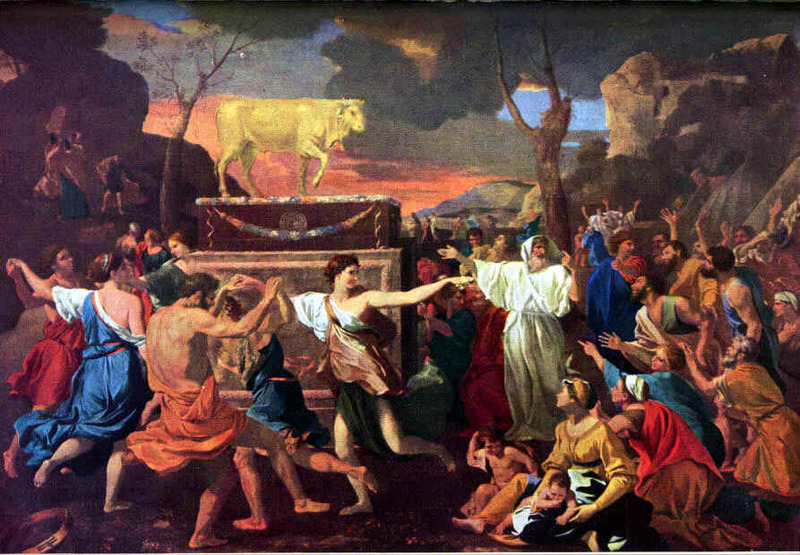 The first at the top of the list of The Ten Commandments that God gave to Moses on Mount Sinai is: “I am the Lord, Thy God: thou shall not have strange gods before me.” The people of Israel do not want to endure waiting to see the Face of God, and so fashion an idol, a Golden Calf, the “work of their hands”, which they can see. But, “Faith is the realization of what is hoped for and evidence of things not seen.” (Heb 11:1) Idol worship is the opposite of faith. We no longer live in a time where people worship an idol as a Golden Calf, but the world certainly worships an array of “strange gods.” The Dictionary gives many definitions of an idol: 1. An image used as an object of worship. 2. A false god. 3. One that is adored, often blindly or excessively. 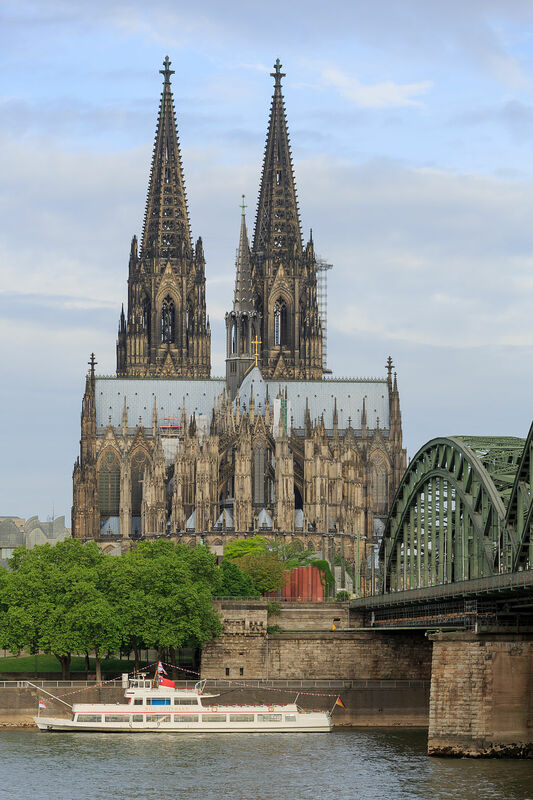 But, the definition that fits better than these is one that was used in the Encyclical Letter Lumen Fidei, “Martin Buber once cited a definition of idolatry proposed by the rabbi of Kock: idolatry is “when a face addresses a face which is not a face”. How do we recognize these false faces for what they are? First, in order to recognize what is false, we need to know what is true. 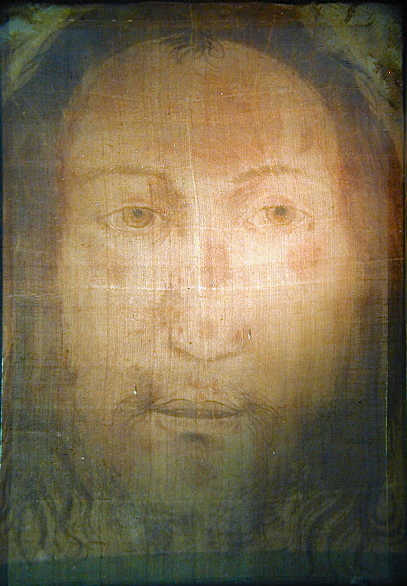 Pope Emeritus Benedict said, “While we too seek other signs, other wonders, we do not realize that He is the real sign, God made flesh; He is the greatest miracle of the universe: all the love of God hidden in a human heart, in a human face.” In other words, we need to seek the face of God by looking at the face of Jesus Christ, who is the Truth. “God… has shone in our hearts to give the light of the knowledge of the glory of God in the Face of Christ.” (2 Cor 4:6) At The Incarnation, God became man to redeem us and now God’s Face can be seen: the Son of God, made man and He is given a name; the all-powerful name of Jesus, at whose Name every knee shall bend. Our true identity is that we are made in the image and likeness of God and we must resemble Him in the end. Truth leads us to life. The false name and “the face which is not a face” erase the identity of the human person and leave something which is horrible in it’s place: an idol, which leads to death. Truth and faithfulness go together, therefore we must seek always and everywhere what is true, live in truth and lead others to truth in charity, in order to see the Face of God.